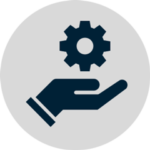 Robotic Process Automation | Accelirate Inc. In even more simpler terms, RPA Bots can be configured to automatically manipulate almost all types of Computer Applications including Mainframe, Web, Windows or any other type of Application similar to humans. The Robots can run 24×7 without making any mistakes and can work in sequence or in parallel (using multiple Robots). The Robots also create Audit Logs of every action they take and create Exception Reports for tasks that could not be handled by the Robot. The Robots can run as Attended or Unattended. Attended Robots run on User’s Desktop and are also considered Desktop Robots. For e.g. they can be used on CSR (Customer Service Rep) Desktop to assist the CSR on their tasks as they service the customer. Unattended Robots run on Virtual Machines or dedicated Workstations where they are used for automated tasks that do not require human intervention. Good Process Automation Design dictates the use of reusable components. RPA platforms allow you to build common building blocks that help you scale. This allows for the automation to be application resilient, i.e. 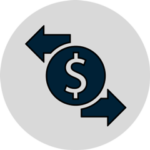 it reduces the amount of change required to the robot configuration, when the underlying application changes and the change is automatically applied to any process using this building block. 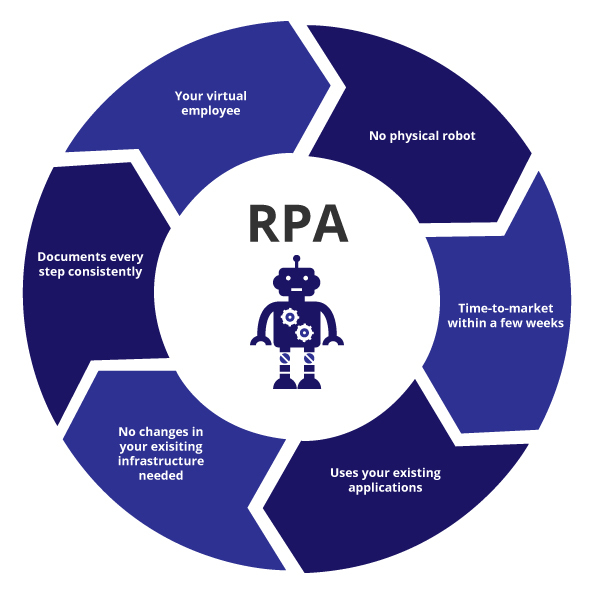 This increases RPA adoption, reduces down time and ensures standardized implementations and governance for complex enterprise scale automation. Robotic Process Automation Platforms now include enhanced cognitive capabilities. Bots can understand structured or unstructured data through an initial learning data set, and act based on the incoming data. This is especially useful when processing documents of varying formats and types. When the bot detects its own confidence level to be below a threshold, the task of data recognition is handed off to a human. The bot learns from the human in real time and becomes smarter over time. Addition of cognitive bots to an automation can result in significant efficiencies.